HARARE - Zimbabwe is to start paying compensation this year to thousands of white farmers who lost land under former president Robert Mugabe's land reform nearly two decades ago, the government said, as it seeks to bring closure to a highly divisive issue. File: Zimbabwe President Emmerson Mnangagwa. 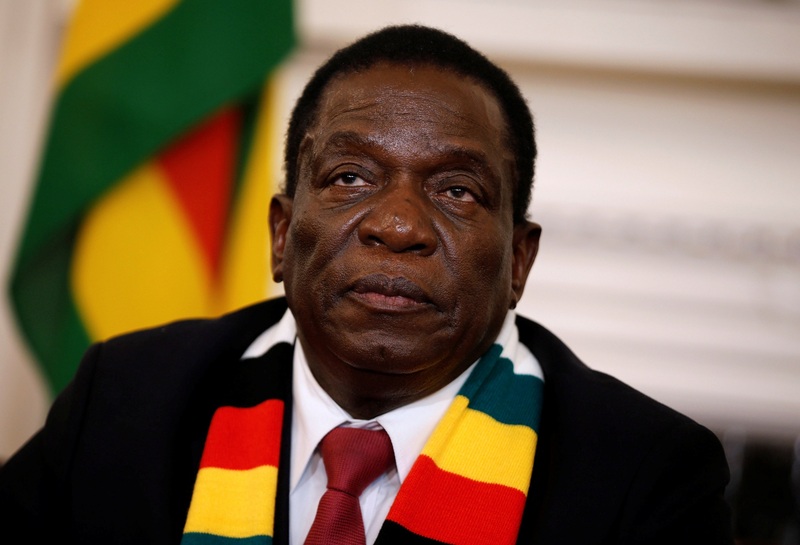 President Emmerson Mnangagwa’s government sees the paying of compensation to white farmers as key to mend ties with the West, and set aside $17,5-million in this year’s budget to that end. The initial payments will target those in financial distress, while full compensation will be paid later. In an effort to correct the chaotic farm seizure blunder Zanu PF is creating yet another blunder. Why should the ordinary Zimbabwean who too has suffered as a result of the 38 years of corrupt and tyrannical Zanu PF rule by asked to pay the compensation to the white farmers. The Zanu PF chefs and their cronies who benefited from these farm seizures are the ones who should pay. Many of the occupants on the seized farms are still occupying the farms and benefiting from the “infrastructure and improvements” for which they never paid a cent! Zanu PF has messed up big time, the only thing these Zanu PF thugs should do right now is for them to go! They really have overstayed for any good they have ever done to this nation. “Colonialists seized some of the best agricultural land and much of it remained in the hands of white farmers after independence in 1980, while many blacks were landless.” – always a pat statement, but Rhodesia was the breadbasket of Africa, feeding their own people – black as well as white – since the country was colonised. It had Agricultural colleges to teach the black farmers – wo did not have the skills – to farm correctly – they are now the majority of the farmers in the now Zimbabwe. This is always conveniently forgotten by those trotting out the statement in quotes at the opening of this comment.